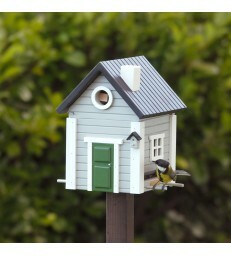 This is a serious birdhouse! 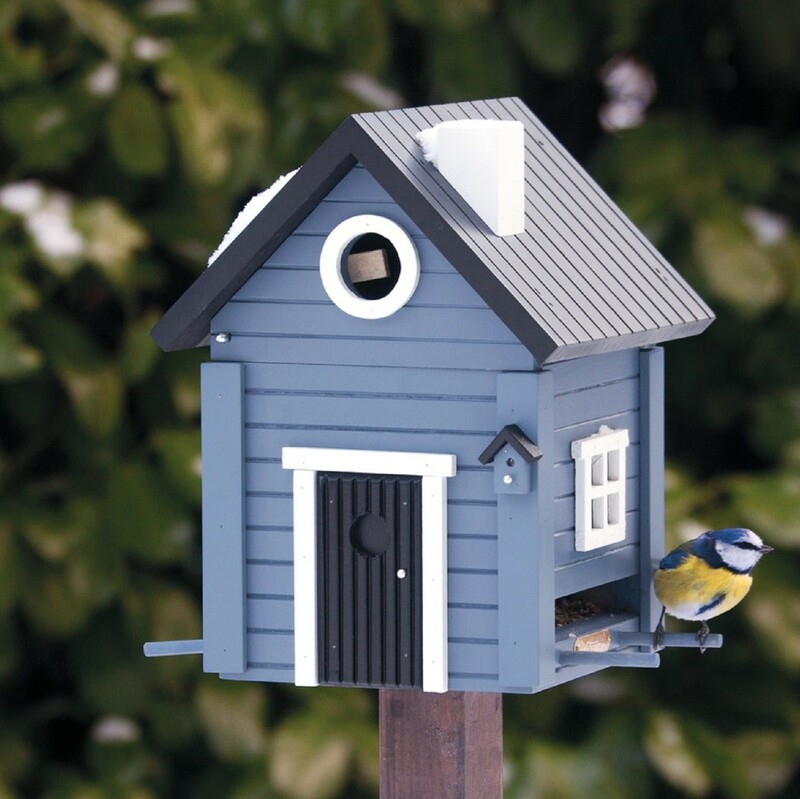 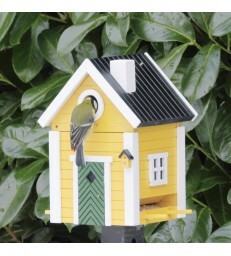 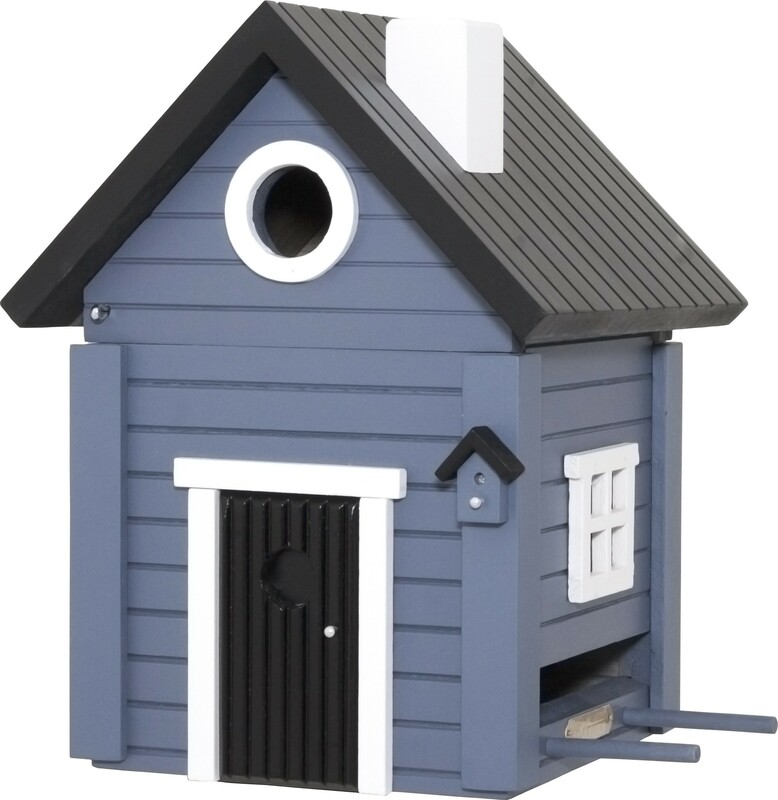 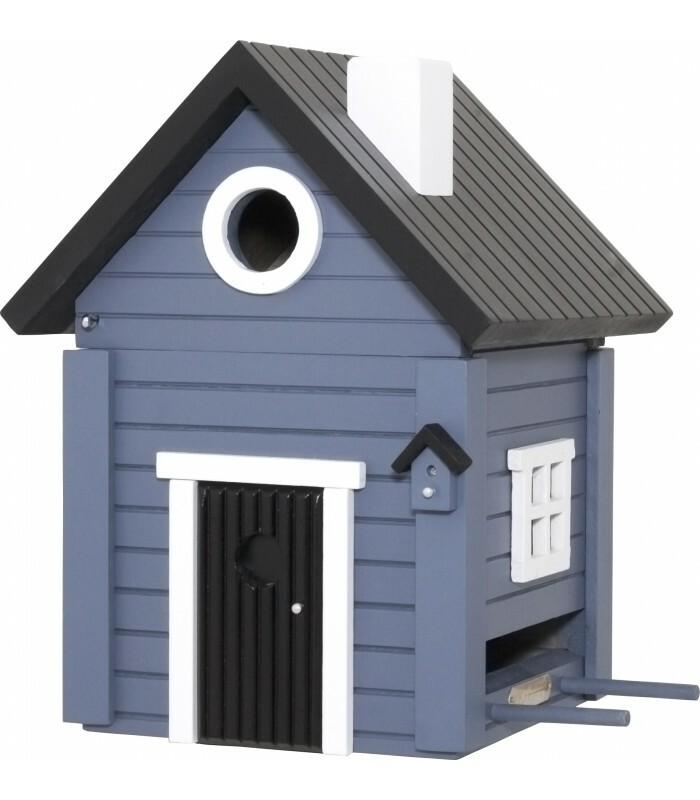 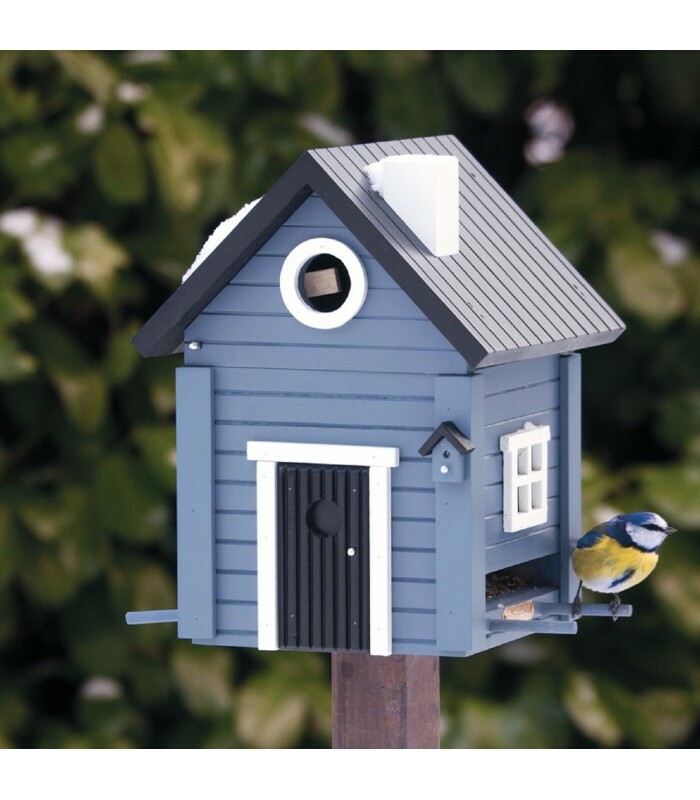 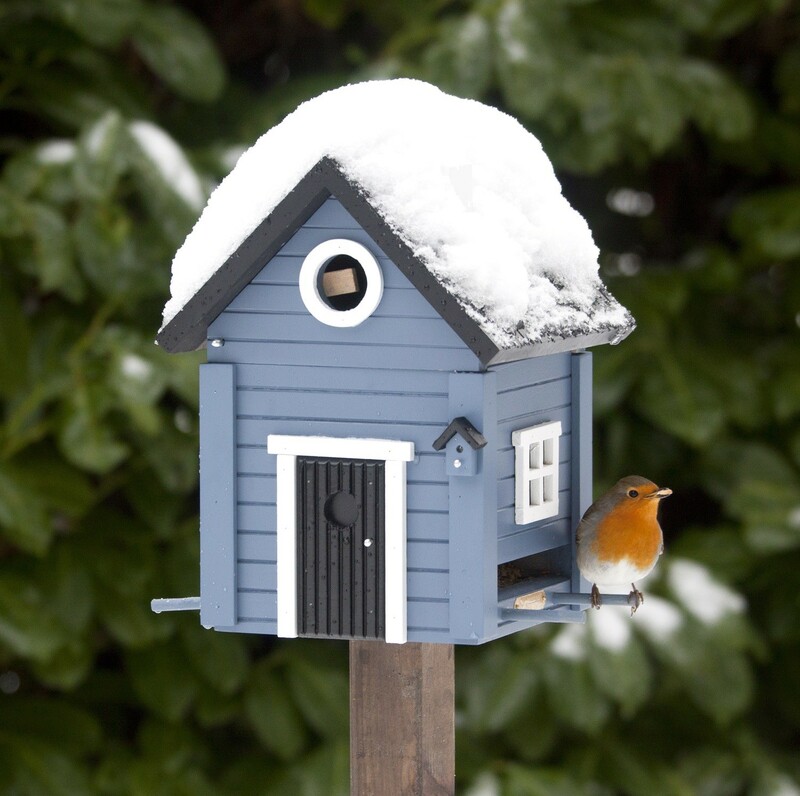 Converts from bird feeder to nesting box in the spring for year around enjoyment. 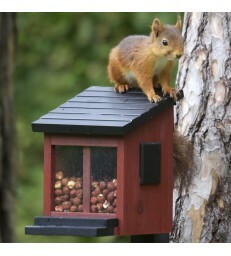 Can dispense two types of bird food at the same time. Only smaller birds are able to use it - large birds like magpies and crows are unable to grip the table with their claws. 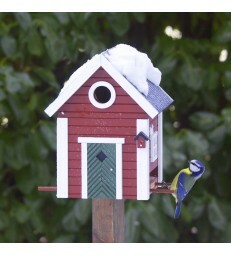 Food stays dry and birds cannot sit down in the food. 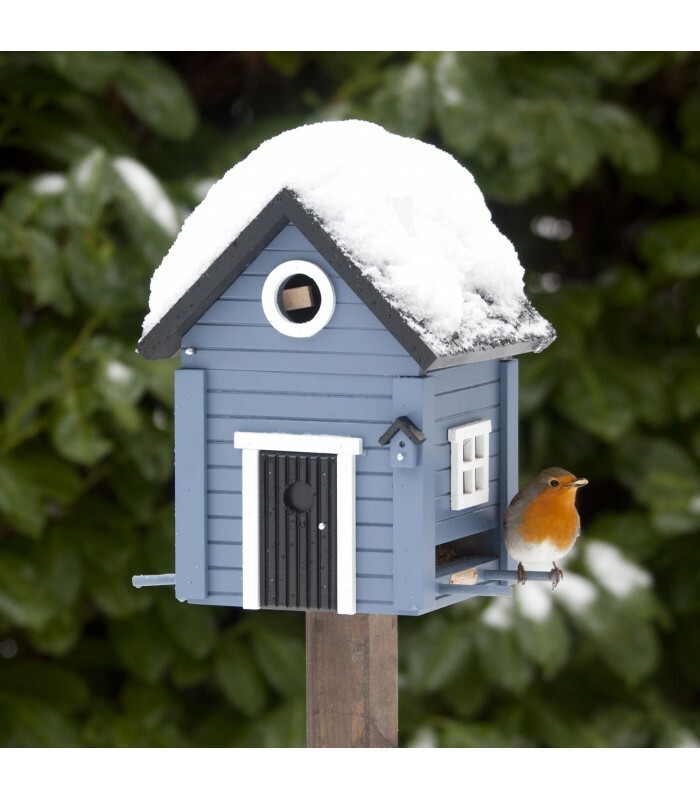 Nest is ventilated to prevent the chicks from overheating during hot summer days. 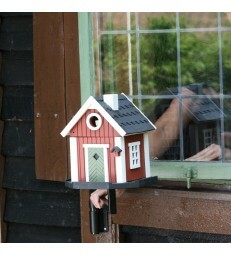 There are steps to climb on under the entrance as an aid for when they are fully fledged and want to get out. 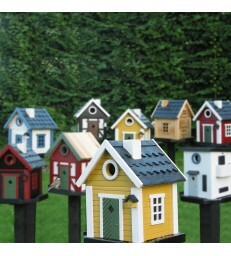 Dimensions: 19 x 18 x 26cm. 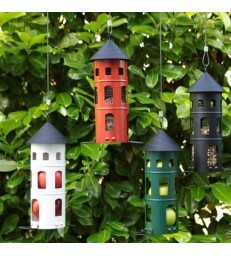 Material: Wood with non-toxic paint.